Home / Blog » Can I Golf with Spinal Stenosis? Can I Golf with Spinal Stenosis? People who love golf can’t imagine life without it. A diagnosis of spinal stenosis can be emotionally devastating to a passionate golfer, especially if the condition affects the lower back or lumbar region. No matter what your ability level is, any golf swing causes substantial physical stress to the lumbar spine. Talk to a spinal stenosis specialist in Miami to discuss the risk of additional injury if you continue to play golf. Every patient is a little different. Your physical limitations depend on the severity of your condition and the complications it might cause. If you’ve had surgery, you’ll need to fully recover before returning to the links. 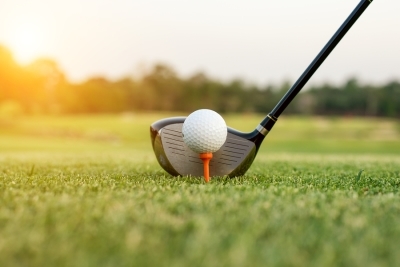 Some back patients face the possibility of never picking up a golf club again, but most people can return to the game, with certain restrictions. For example, you may need to halve the amount of force you use with each swing. Adhere to your surgeon’s instructions. Whether or not you have surgery for spinal stenosis, your doctor will give you recovery instructions to follow. Failure to comply with these directions can worsen your condition. Pay careful attention to the activity restrictions, and don’t rush your recovery. Work with a physical therapist and complete any other physical rehabilitation recommendations. Wear a lower back brace. A lower back brace isn’t a substitute for reducing the power of your swing. It won’t necessarily prevent back pain, but its presence will be a constant reminder for you to take it easy. To a limited extent, a back brace can help limit movement in the area. The added warmth of the brace will also keep the soft tissues limber. Follow a thorough warming up and stretching regimen. Ask your physical therapist to demonstrate the right way to stretch and warm up. This isn’t something you can rush, especially if you’re going to play golf with spinal stenosis. Remember to cool down and stretch again after you complete the round. Know what to do if symptoms recur. Taking a break can be tough for dedicated golfers, but if your symptoms recur, you need to prioritize your health. Back pain, leg or arm pain, numbness, weakness, and tingling are all signs that you need a break from golf—and have another appointment with your spinal stenosis specialist.